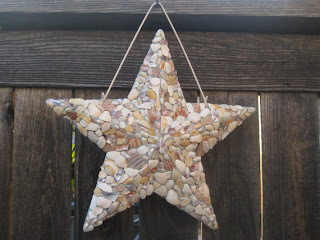 It was a star made of shells that caught my attention. It was on top of a box filled with Christmas ornaments - plastic candy canes and sparkling garland. 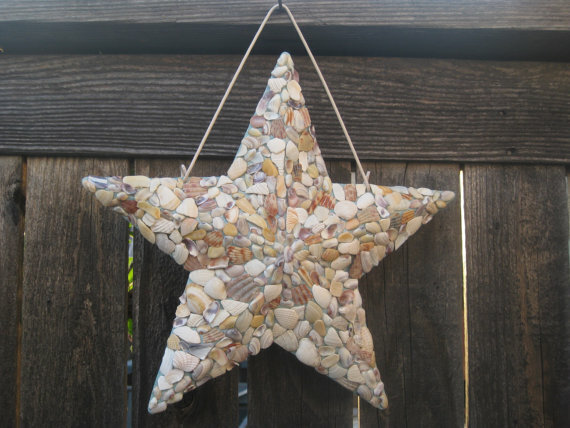 It was made from a star-shaped piece of wood and covered in tiny shells flung from the sea. The box had come to me from a church rummage sale. Sometimes churches and other organizations donated their items to my shop, Missing Pieces. Like all things in life, sometimes there were gems and other times there was trash. I took my chances. When I held the star, I knew someone was looking for it. Loving hands had gently laid it here in storage for the next Christmas season. 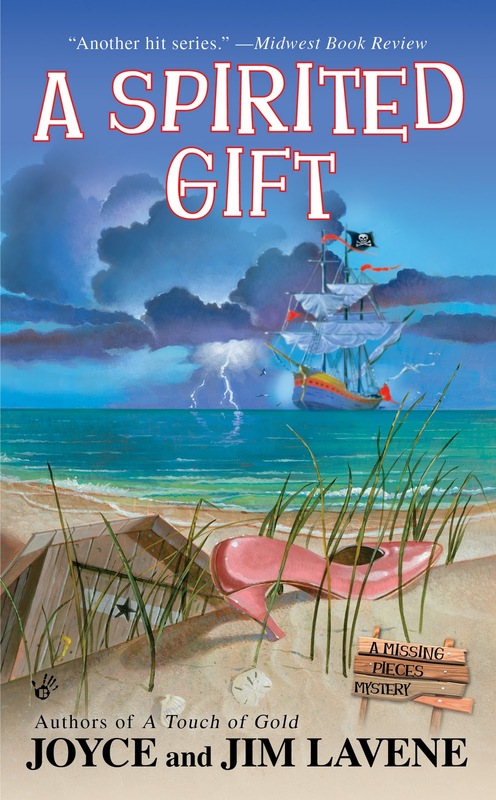 She never dreamed it wouldn't be her hands that opened the box this year. "I think we should take you home. Someone is missing you. I can't keep you here. It wouldn't be right." I put on my hat and jacket, wound a scarf around my neck. It was the day before Christmas and colder than usual in Duck, North Carolina. There was ice along the Currituck Sound and the wind blew sharp across it. Most shops and restaurants were closed at this time of year. The tourists were home waiting for next summer. It felt a little lonely despite the festive signs and decorations. Or maybe I was being affected by the sad little star I held. I walked across Duck Road toward the Atlantic side of the island, feeling the tug of the star I held as if it sensed it was nearing someplace familiar. I looked up at the flat brown house that I knew had weathered many storms. I'd been passing it most of my life, on the way to school when I was younger. Later, on my way to other adventures. There was no doorbell so I knocked and waited. A young woman, probably in her twenties answered. "Yes? Can I help you?" "I think I can help you." I pulled the star out and showed it to her. "Oh my God!" She started crying. "I thought it was gone forever. Please come in. I'm sorry to keep you standing outside in the cold." She went on to tell me that her name was Lily Washington. She'd been born and raised in Duck. She'd left for a few years and when she came back, her mother was gravely ill.
"She died last spring. I didn't realize, but her house was mortgaged to pay for her medical bills. The bank sold it so quickly, there was no time to get anything out of it. Everything I remembered from my childhood was gone too." I handed her the star. "I know your mother wanted you to have this." "But how did you know?" She started crying as she looked at it. "Thank you so much. You don't know what this means to me." I stayed for tea and gingerbread but it was getting dark and I needed to go home before Gramps and Kevin started wondering where I was. Outside, there was a single ray of sunshine dancing across the sound and I heard the churchbells ringing. Merry Christmas! 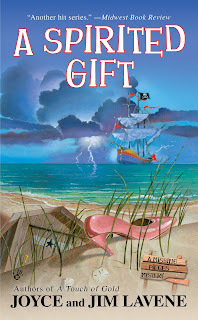 Read more about Dae in her latest release, A SPIRITED GIFT, a new National Bestseller from Berkley Prime Crime by Joyce and Jim Lavene. Available at bookstores everywhere this Christmas! What a touching story. Thanks for sharing it with us, Dae! Awwwww--handmade objects and the stories they could tell... Thank you for this, Dae! Thanks! Dae, Joyce and Jim have all had the flu this week. Sorry for the late post.